Seattle-based McKinstry Essention is seeking court dismissal of allegations of fraud and racketeering filed against it by the Blaine County School District. McKinstry, a School District energy contractor, argues in new documents filed in Blaine County 5th District Court last week that the fraud and racketeering allegations are part of the district's "shotgun" approach to defending itself in a multi-million-dollar lawsuit between the parties. The documents, filed for McKinstry by Seattle attorney Paul R. Cressman, state that the district has provided virtually no evidence in its court filings to show that fraud and racketeering occurred. McKinstry is also seeking dismissal of another district allegation that the company violated the Idaho Consumer Protection Act. Oral arguments on the matter are scheduled to be heard by Judge Robert J. Elgee on Monday, July 30, at 4 p.m.
McKinstry was contracted by the district in 2010 for geothermal resource development, heating, ventilating and air conditioning retrofits and other improvements at eight district schools or facilities. In a lawsuit filed in May, McKinstry is alleging that it performed work worth $25.8 million and that the district has refused to pay about $7 million of that amount. The district, on the other hand, claims that it only authorized work worth $18.6 million and is further claiming damages against McKinstry of at least that amount. 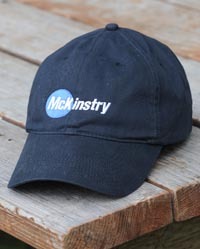 The fraud, racketeering and Consumer Protection Act violation accusations are among various claims alleged against McKinstry in a counterclaim. The district also claims breach of contract, negligence and failure to provide it with proper accounting of the work performed. In its new court filings, McKinstry claims that Idaho law and judicial precedent require "heightened" standards of evidence in legal filings alleging fraud and racketeering. McKinstry argues that since the allegations imply criminal wrongdoing, the district is required to provide details about the alleged misconduct. Otherwise, McKinstry argues, the company is unable to adequately defend itself against the charges. Regarding the fraud allegation, the McKinstry court documents state that the district's claim is "silent on these basic questions of who, what, when, where and how." Regarding the district's racketeering claim, McKinstry argues that the allegation threatens the company's reputation. "The heightened standard is particularly important in this case because [the district] seeks to publicly label McKinstry as a 'racketeer,' dirty its good name and outstanding record with its Idaho public clients and pursue expensive and burdensome discovery regarding every public entity in Idaho with which McKinstry has done business," the McKinstry court filings state. The company further argues that Idaho law requires that specific facts be given supporting both the racketeering allegation and the alleged violation of the Consumer Protection Act. The school district has claimed that McKinstry misrepresented the energy savings that would be realized from its work and made similar misrepresentations to other public entities in Blaine County and elsewhere in Idaho.